Whenever I see the cover of Exile on Main St., I think of my courtship with Janice Deal in the late 1980s. We learned about each other through our vinyl collections during that time. Jan’s Kate Bush and Peter Gabriel albums gave me a glimpse into her poetic artistry that would manifest itself in the short stories and book she would publish years later, The Decline of Pigeons. My albums, ranging from Al Green to Led Zeppelin, often revealed my fascination with the interplay between music and the visual power of album cover art, which I would eventually document on my blog and on visual storytelling platforms such as Instagram. 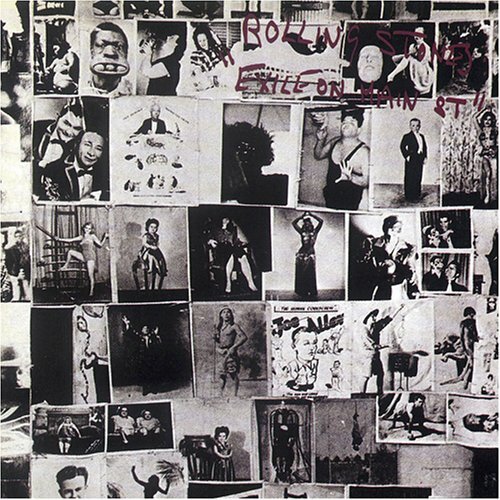 Exile on Main St. captures that time in our lives perfectly. Considered by many to be the Rolling Stones’ masterpiece, Exile on Main St. captures the sound and look of a band wallowing in its own decadence. The front cover of the album is a jumbled mess of off-kilter, black-and-white images of circus entertainers and assorted characters of unusual talent, including a dude with an amazing capacity for holding three oranges in his mouth. The back consists of a druggy pastiche of more black-and-white images, this time of the Rolling Stones, leering, yawning, and frowning. The band looks like they’ve been documented amid a chaotic, gypsy existence, which, in fact, they were living, having fled England to avoid paying an onerous tax burden. 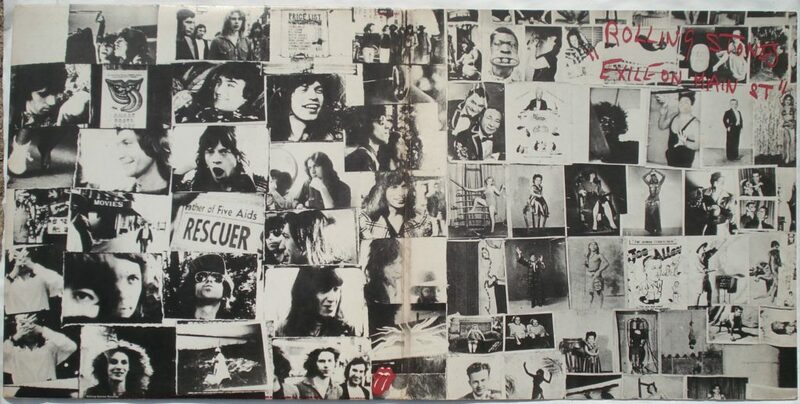 The images of one of rock’s most memorable covers reflect the nearly out-of-control sprawl of the album inside the cover. The album itself confused critics and fans alike with its muddy sound. When you listen to songs like “Rocks Off,” you feel like you’re in the uncomfortably hot, squalid French villa where parts of the album were recorded. Mick Jagger slurs, drawls, and shouts the lyrics over scabrous guitar parts and a loose rhythm that feels two notes away from a chaotic breakdown. All the elements add up to an authentically dirty vibe that few bands have managed to capture. Only after leaving the album alone for a while and revisiting the songs when Jan and I were dating in the late 1980s could I start to enjoy Exile and the chaotic sounds that unified all four sides. At this point in their career, the Rolling Stones were mired in a fallow period, churning out formulaic-sounding albums like Dirty Work. The band sounded too polished and mechanical. Jan and I were spending a lot of time exploring Chicago neighborhoods, eating barbeque from a place called Leon’s (where a slice of white bread was served with your ribs), and just bombing around in the streets. Sometimes we would order ribs from the Leon’s carry-out on north Clark Street and simply sit on the sidewalk and chow down on ribs, not caring how messy we looked. As we took long walks through areas such as Lincoln Park, I sang loosely remembered songs to Jan, throwing in a line from “Ventilator Blues” one moment before jumping into “Happy” when I couldn’t get the lines right. I was deep into the Stones’ early catalog then, perhaps as a reaction to how boring the band sounded in 1987. I scooped up copies of worn vinyl Stones albums at used record stores, including the earliest albums with those stark close-ups of their menacing faces. Jan, with her collection of Madonna, the Beatles, and Laurie Anderson, offered the counterbalance to the darkness that fascinated me, and I loved her for providing that lightness. During that period, I studied the album cover for Exile with fresh eyes and dwelled on each little square photograph, looking for clues that might shed light on the songs inside. I reappraised the dense and opaque collage of images as a reflection of the music. 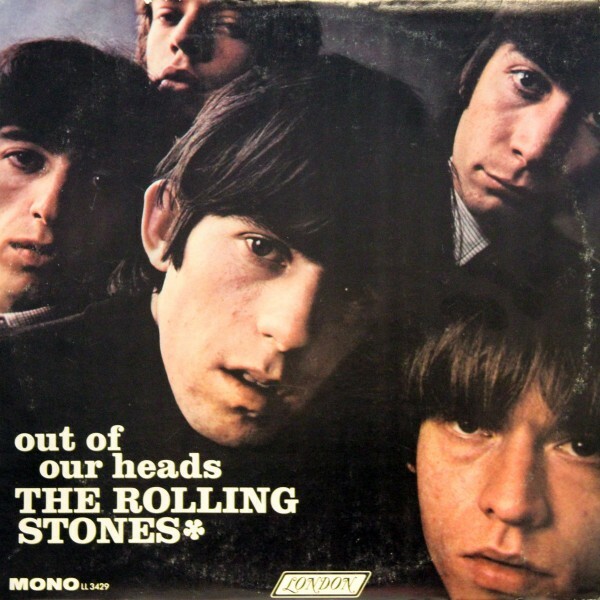 The unpolished and faded images of Jagger and Richards huddled around the microphone, and of the entire band smirking and gazing off screen with stoned expressions, coupled with the dude with the oranges and the freaks on the front cover, created a band portrait dipped in the kind of grime and grit I felt on my skin after walking through Chicago on a hot summer Saturday. I was finally able to enjoy the album on my terms. And Jan did, too. The Stones were walking the streets with us. If you own the album, you know why you have to listen to the songs all the way through to understand the cover. These are the Stones: unvarnished, real, and powerful. This entry was posted in Music and tagged David Deal, Exile on Main St., Rolling Stones, Superhype, vinyl. Bookmark the permalink.